Click the map's Google logo to go to Google Maps - for Directions, Street View etc. The north of the island is actually quite close to the mainland, but has never had a ferry link because of the lack of a road in the north - however this has lead to past speculation on the possible construction of an overland route to Islay. This is never going to happen for economic and conservation reasons. 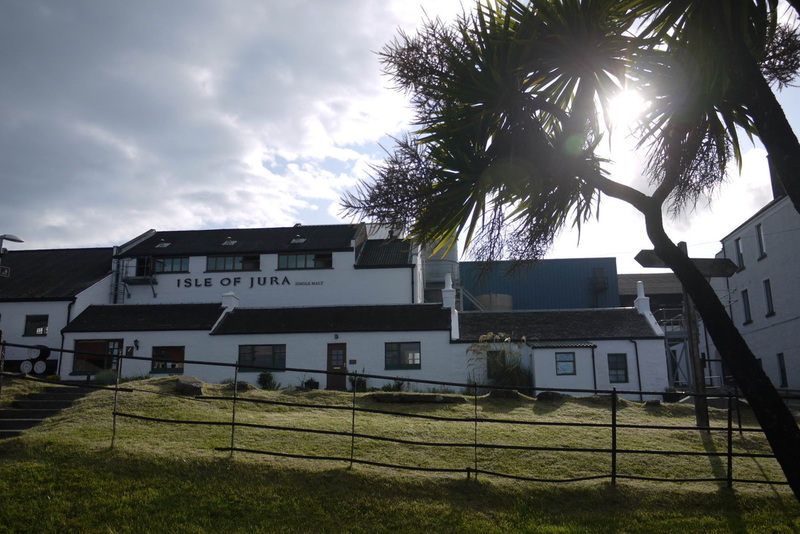 Jura is of course home to the Isle of Jura Distillery. So no problem buying at least one brand of single malt! The shop does stock others, but for a specialist shop you'll need to go to Bowmore or Oban. Sun shining through the palm trees opposite the distillery - Jura not the Caribbean! 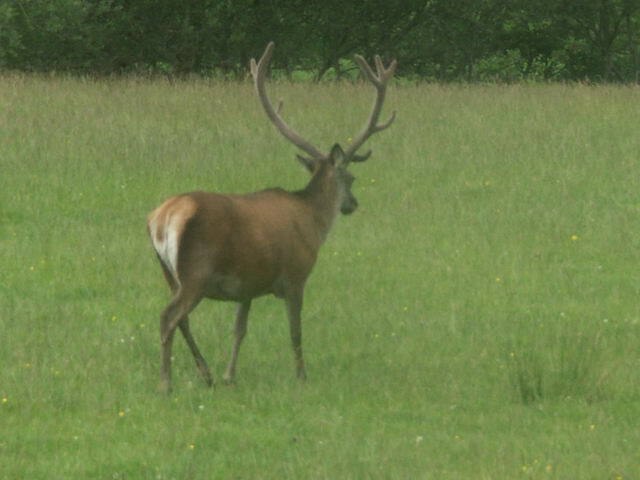 Jura is one of the larger of Scotland's Islands, but it is sparsely populated - barely 200 people - thought there are an estimated 6,000 deer. The island is most famous for its three highest mountains known as the Paps, and because George Orwell completed 1984 while staying on the island - at Barnhill in the far North of the island. Jura is also said to have only one road - which is almost true. Orwell described the island as ungetatable and it is certainly not a straightforward journey especially by bike. 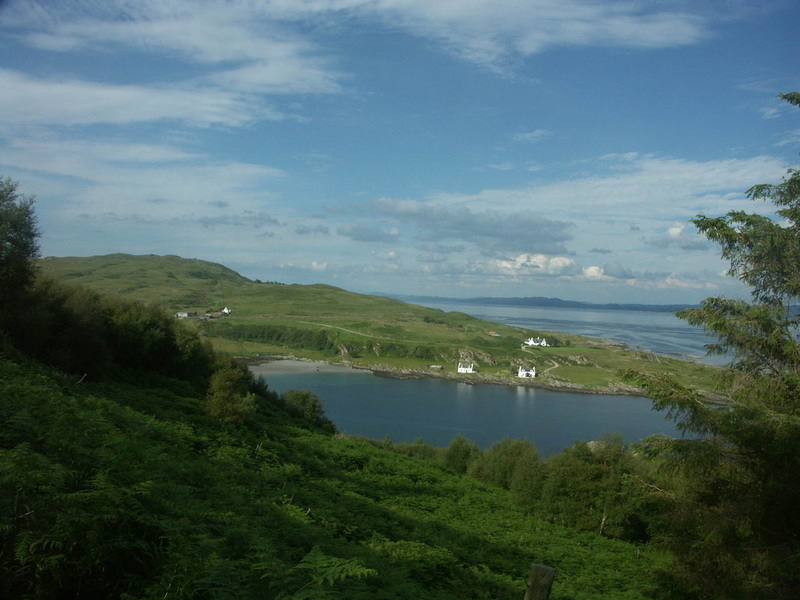 Jura's road runs from Feolin Ferry (from Islay) along the south of the island and then up the east coast - leaving the west coast fairly inaccessible except by boat. The road though starting off grandly as the A846 is never more than single track, often with grass adorning its middle - it peters out into a private track long before reaching Barnhill. 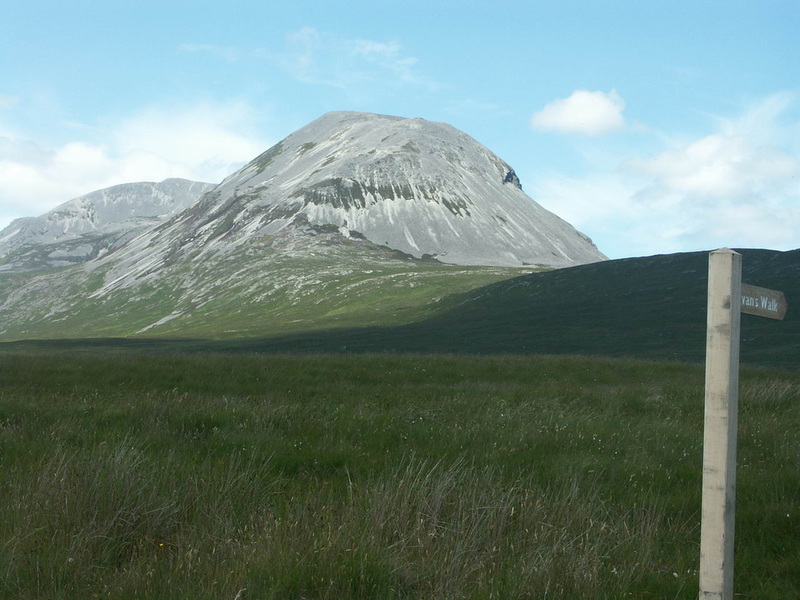 The main route to Jura is via Islay. 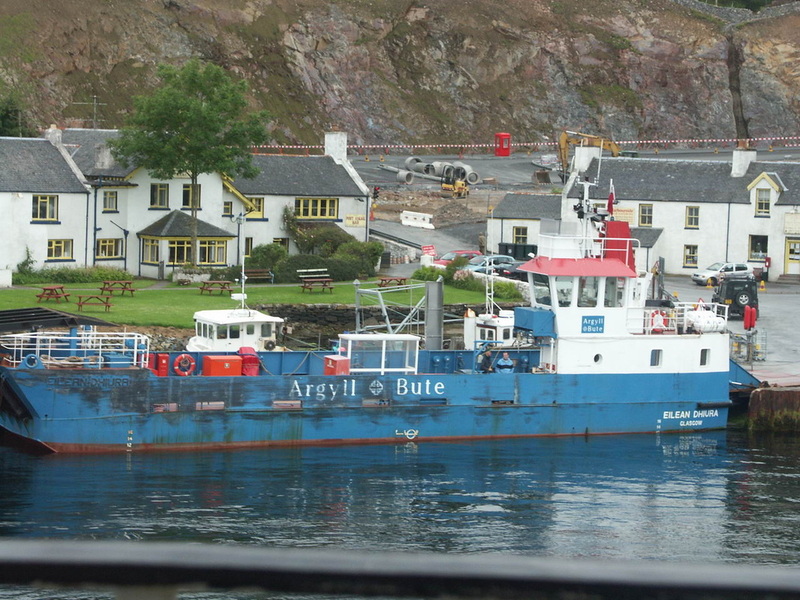 Head for Port Askaig served by CalMac from Kennacraig Winter Summer). Then onto the adjoining Jura Ferry. Getting to Kennacraig? - see main Islay page. Jura Passenger Ferry - fast ferry from Tayvallich to Craighouse - carries bikes. This operates late March to late September, 4 times daily (no service on Tuesdays), twice on Sundays. £20 each way, bikes free. I've visited Jura three times, staying in B&Bs half way up Small Isles Bay and in Ardfernal on the first two occasions, but these are no longer offering B&B. My most recent visit in 2009, I used the Hotel. Jura House used to offer some B&B facilities, but was bought by an obscenely rich banker in 2011, who has apparently not bothered to visit the island. The Gardens which were a considerable tourist attraction have been closed "until further notice" since the purchase. 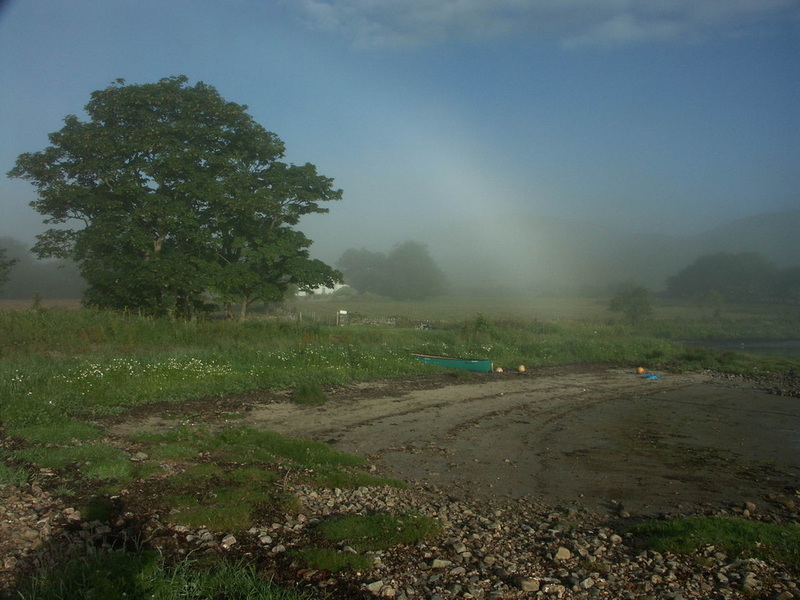 Several Self-Catering options - see list on Jura Info. Jura has one hotel, and it has a reasonable selection of whiskies, including several examples from the neighbouring distillery. Run from a house in Port Ellen, so not a shop as such, but hire, sales, accessories and repairs available - see website/ring for further details. Bike hire from Bowmore Post Office 01496 810366; Port Ellen 01496 302349.and Islay Cycles as above; Port Charlotte 01496 850488; and Port Askaig (Persabus) 01496 840753. Banking - nearest facilities are on Islay. You may be able to get cash back at the Hotel or shop. Please check details - links, prices, ranges of whiskies etc are correct as of the Page Updated date. Any errors please let me know. Listing of any hotel, restaurant, B&B etc is NOT a recommendation - unless accompanied by text to that effect. Photos licensed under a Creative Commons Attribution-NonCommercial-ShareAlike 3.0 Unported License.